Team Spirit Builds on Canal Tour – About Face to the Bay? An osprey atop a transmission tower watches as a few dozen people meander out to the edge of the San Rafael waterfront along a narrow levee path. On one side are the marshes and mudflats where the San Rafael creek meets the San Francisco Bay, the osprey’s hunting territory. On the other are townhomes, densely packed on a flat spit of land jutting out into the Bay. A woman with a phone and clipboard hurries along the stragglers. It’s a sunny day in early October, some of San Rafael’s best weather, and it’s easy to get taken in by the tranquil setting and forget that this particular tour of teams engaged in the Bay Area Resilient by Design Challenge has a tight schedule. When the subject is flood control in the age of sea level rise, it’s often a race against time. The Bay Area Challenge is inspired by the Rebuild by Design effort to rebuild New York and New Jersey after Hurricane Sandy. This time, rather than respond to a climate event after the damage is done, the hope is to anticipate the inevitable and prepare communities so that they can manage the coming changes fluidly. 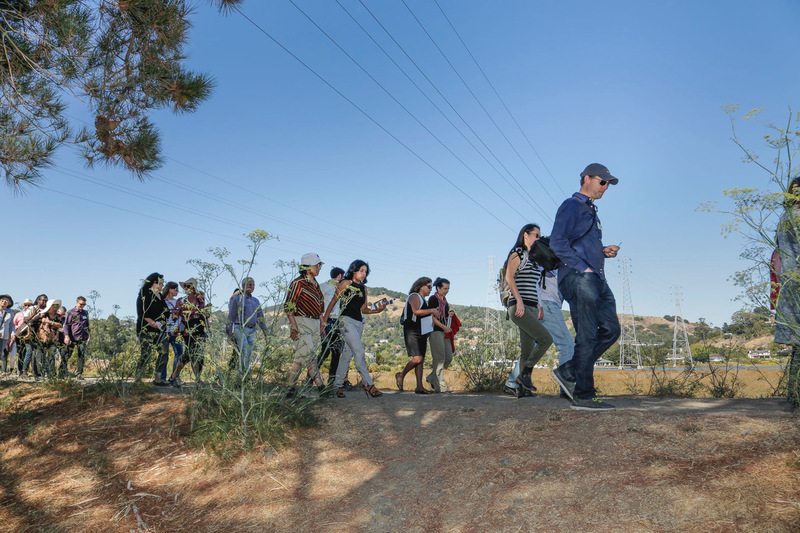 At the time of this waterfront walk at the edge of San Rafael, the challenge was in its collaborative research phase, and the 10 participating teams of designers, engineers and community members were touring San Francisco Bay and isolating the regions most in need of a future-proof facelift. San Rafael was a prime candidate. Pickleweed Park, where our tour began, is located in the heart of the San Rafael Canal community. While it’s a multicultural community, residents predominantly hail from Latin American countries anywhere from Mexico to Nicaragua. It’s also Marin’s highest density community and one of its poorest, and it sits right on the edge of the canal waterway. Resilient by Design’s focus on the Canal community was of particular interest to me. I was raised in Marin County and several of those years in San Rafael. As we walked through familiar sights and sounds, it seemed poignant that Pickleweed Park was the site of this tour. My brother played for the Central Marin soccer team that called Pickleweed their home field. Team members came from different income brackets and cultures. They hailed predominantly from San Rafael, but also from western Marin cities such as San Anselmo and Fairfax. The densely packed Canal neighborhood shares little in common with these forested, sparsely populated towns. They had their own schools and their own local hangouts. On the field though, few distinctions existed. White kids shouted “aqui” when signaling for a pass. Hispanic kids shouted “here.” Parents tried in their own way to break down barriers as they gathered together at picnic tables and along the sidelines. When a community shares a goal, division takes a backseat to camaraderie. The Pickleweed tour gave me a similar feeling of unity. While building a city doesn’t have the same “hoo-rah” enthusiasm as a win on game day, simply sharing in the passion and optimism of involved community members and community planners evoked a similar excitement. They are the Resilient by Design teams, after all. 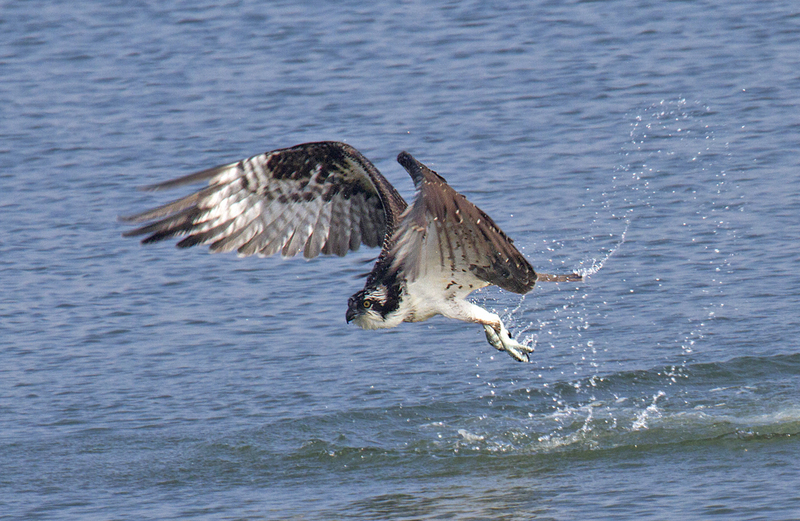 As I was leaving Pickleweed Park to reconvene with the tour at another location, I thought about how the osprey there with us was adjusting to rising waters. Simply by living off the water, creating a lifestyle that ebbs and flows as the tides do, it makes the necessary micro-adjustments every day. 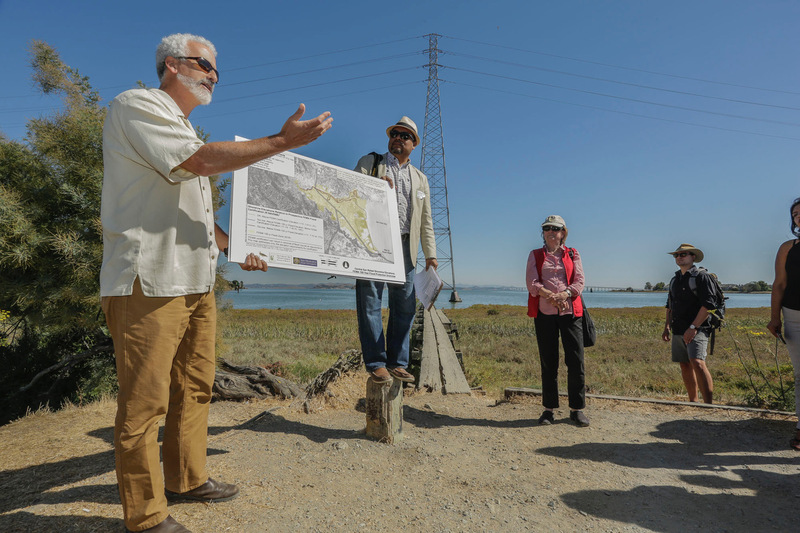 Bay wildlife is forever “turned toward to the water,” just as BionicTeam envisions turning San Rafael. And it, too, is resilient by design.